During February and March the winning producers of the 2017 Challenge accepted their cheques of R25 000 each. The champion winemakers may enjoy the acclaim, but it is the workers, especially women and children, who are the real winners in the 2017 Standard Bank Chenin Blanc Top Ten Challenge. 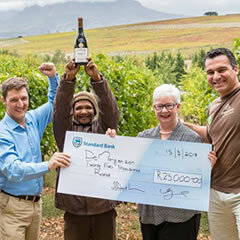 The cheques were presented to the winners by Neil Groenewald, Regional Manager (Winelands) and Henry Klopper, the Business Centre Manager in the Boland. Standard Bank extremely proud to be associated with the awards, which benefited not only South Africa's wine industry, but also provided valuable support for the farm workers. Click HERE to view more photo's from the cheque presentations. 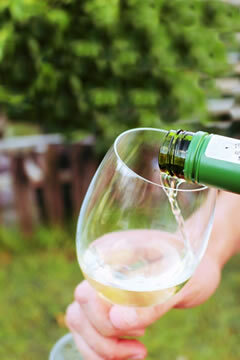 South Africa stands the strongest chance of making an impact in the US by linking its wine marketing message with a single varietal in the way New Zealand has done with Sauvignon blanc and Argentina, with Malbec. Chenin is raking in awards, locally and abroad, and moving the South African wine industry forward, it would seem as if there is more momentum than ever and the Chenin star is shining bright! Amongst a spate of new releases, and some very exciting wines, Chenin is clearly the basis of a new found quality white wine segment. 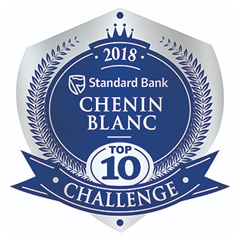 The second annual Standard Bank Chenin Blanc Top 10 Challenge unlocked the obvious potential of Chenin Blanc with pure fruit, complexity, balance, some weight and power indicating the best of the best. 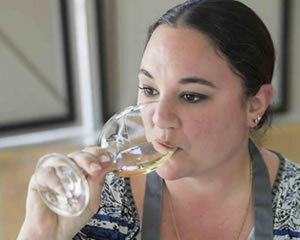 KWV, Perdeberg, Simonsig, Spier and Stellenrust once again impressed judges for a second year as part of the Top 10, an indication of these cellars’ reputation for high quality Chenin Blanc wines. New winners included Aeternitas, Boutinot, DeMorgenzon, L'Avenir and Leopard's Leap. 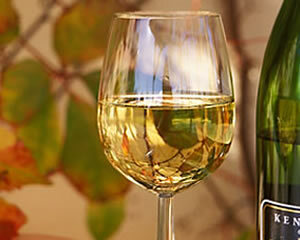 A total of 145 wines were entered into the competition, (15% up from the previous year) and tasted blind with no indication of vintage, cellar treatment or technical analysis by the five-person panel including Christian Eedes, one of South Africa’s most respected wine judges as chairperson; Jamie Goode from the United Kingdom, a London-based wine writer currently wine columnist with UK national newspaper The Sunday Express; Higgo Jacobs, certified with the Court of Master Sommeliers and wine judge; François Rautenbach, a man deeply invested in hospitality and heading up the ‘Singita Premier Wine Direct’ programme for Singita Game Reserves and sourcing and supplying wines for the Singita properties in Southern and East Africa; Cathy van Zyl, Master of Wine, regular judge and associate editor of Platter’s South African Wine Guide, as well as associate judges Jaap-Henk Koelewijn, sommelier and partner in Tokara Restaurant, and Tongai Joseph Dhafana sommelier at La Colombe.